The Moores Cancer Center has been recognized internationally for its development of many novel cancer treatments, including the Hypothermic Intraperitoneal Chemotherapy (HIPEC), which is used with mesothelioma and other cancers within the abdominal cavity. It often is used in conjunction with cytoreductive surgery. It involves pumping a heated chemotherapy mixture directly into the abdominal cavity, distributing it 90 minutes, then draining it out. It has shown to be much-more effective, and have fewer toxic side effects, than with intravenous chemotherapy. Handling the peritoneal mesothelioma cases and the HIPEC treatment are veteran surgeon Andrew Lowy, M.D., director of Division of Surgical Oncology at Moores, and Joel Baumgartner, surgical oncologist who joined the team recently from the University of Pittsburgh Medical Center, another top HIPEC facility. Lowy is recognized worldwide for his expertise in novel cancer treatments, and he co-chairs the National Cancer Institute’s Pancreatic Cancer Task Force, which sets the direction for national clinical research. The pleural mesothelioma team includes surgeons Anthony Perricone, M.D., and Patricia Thistlewait, M.D., along with medical oncologists Lyudmila Bazhenova, M.D., and William Mitchell, M.D. All of them are lung cancer specialists with experience in pleural mesothelioma, which usually involves the lining surrounding the lungs. Individualized cancer care at Moores often involves a team that includes a pulmonologist, a radiation oncologist, a medical oncologist, an interventional radiologist, a pathologist and a surgeon. Services at Moores Cancer Center were ranked among the top 50 in the country by U.S. News & World Report in its 2011-12 Best Hospitals survey. 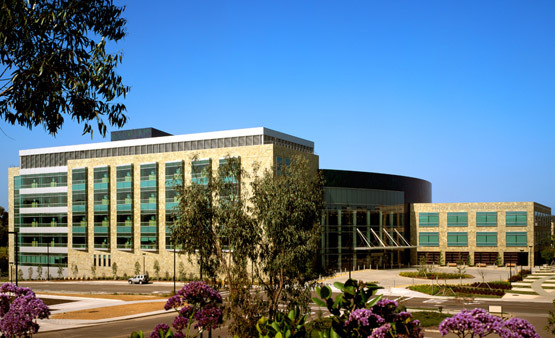 The UC San Diego Health System, of which Moores is a part, received two A Hospital Safety Scores by an independent national non-profit known as the Leapfrog Group. The Moores Center was the only hospital in the San Diego area to be featured in Becker’s Hospital Review list of 70 Hospitals and Health Systems with Great Oncology Programs. In 2012, Moores became one of the first U.S. oncology practices to be recognized by the Quality Oncology Practice Initiative certification program. Moores was established in 1979 and dedicated to a mission of scientific discoveries, new and better options for the diagnosis, treatment and prevention of cancer. It moved to its current home on the East Campus of UC San Diego in 2005, but an 18-percent annual growth rate has necessitated a much-larger facility that should be operational by 2016. As part of an academic medical center, Moores has the advantage of researchers constantly developing new therapies and medical devices, based treatment plans on the latest breakthroughs. The comprehensive care includes specialists in nuclear medicine, nutrition, diagnostic imaging, nursing and social work. The HIPEC Center is the largest on the West Coast, allowing Moores to attract patients from throughout California and well beyond. The Blood and Marrow Transplant Program is one of the largest in California and a national leader in physician expertise. There is a Palliative Care Program, along with separate Care Units for Brain, Breast, Lung, Gastrointestinal, Gynecological and Pancreatic cancers, among many others. Moores also has its own clinical trials office, where new surgeries, new drugs, new combination of treatments or new types of radiation therapy are used. There usually are more than 100 active protocols at any one time. They offer high-quality care and access to treatments that still aren’t available to the public. They allow patients to receive the best standard treatment available, along with new treatments that are closely monitored. Disclaimer: UC San Diego Moores Cancer Center has no professional affiliation with Asbestos.com.